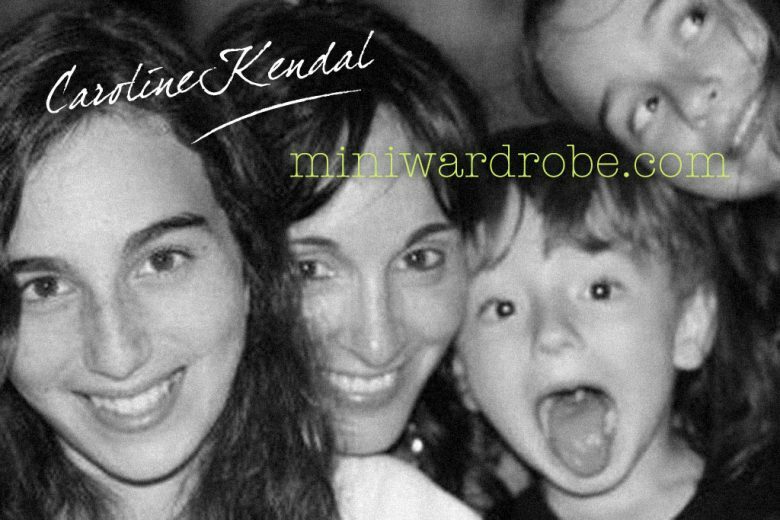 Caroline Kendal is founder of miniwardrobe.com, a fun and interactive shopping destination for fashionable and trendy childrenswear and gifts. She’s also a busy mum of three. We found out how she started her business and her innovative plans for a new pyjama range for kids. I was a lawyer in the city for a few years before moving into consulting – however, most of my consulting clients were lawyers so I never really left the legal profession. I then became a management consultant at McKinsey & Company. I left there to set up my own freelance consultancy in risk management, before working on the launch of MiniWardrobe. It was always my long term plan. I decided to pursue professional qualifications and a career in the short term, but always intended to become an entrepreneur. It’s in my blood! My family are all in the fashion trade – even my grandmother had her own menswear business. The idea for Mini Wardrobe came from seeing that e-commerce was a growing trend and not being able to source good stuff for my kids easily. Shopping for adults is fun and accessible, but I didn’t have the same experience with children’s clothes. How do you find a balance between your business and family? In my experience, when you have your own business you end up working a whole lot harder than you ever did for someone else. Yes, you can work around your kids, but you pay the price. You have to be unafraid of hard work – most nights I work until the early hours of the morning. I think that as a mother there are three pulls on your time – kids, career and your own personal social time. In my experience you can have two out of the three successfully, but it’s not easy to have all three, without making serious compromises. So, a great social life is a luxury that I don’t have at the moment! On the plus side, you are doing something you are passionate about, for yourself and you are in control of your day. You don’t need to ask for time off for sports days and parents evenings. You can just take an hour or two out to be there for your children, and make up the time later. I didn’t launch MiniWardrobe with money from friends or family – I chose to seek out investment. So I approached angel investors and presented my business plan. In the end, three people invested in the business in return for equity. They were strangers who invested simply on the strength of the business idea. One plays an active role in the company, and two have silent roles. I found them through angel investor networks. It’s much easier than you may think to find investors to approach. When you meet someone, if your business isn’t right for them, you need to have the confidence to ask if there’s anyone else they think may be interested. I met one of my investors through a network, one came via a contact and the third heard about my business through the grapevine and got in touch. Once you have a couple of investors you’ll find that word gets out and people will then even start approaching you. What advice would you give someone looking for investment? You need to put in time and effort. It can be hard to keep going to meetings, especially as some will not be serious investors, but it’s important to keep plugging away. If you’ve got a good idea and you believe in it enough, someone will come along. Never say no to a meeting as you never know what can happen. Each meeting is a great chance to practise your presenting skills, and even if the investor doesn’t want to put money behind your idea, they may know someone who does or become a good contact later. I strongly believe in helping others as much as you can. I’ve found that what goes around comes around, and that being helpful has brought opportunities my way. You’ve got a new idea as well, haven’t you? Yes. I launched MiniWardrobe in late 2010, but more recently have been working on an idea to launch my own brand of pyjamas. I find that children’s pyjamas in the UK are either good quality but expensive, or cheap but poor quality. There’s nothing in between, and nothing that’s particularly inspiring. So I’ve come up with an idea to design and manufacture a line of educational pyjamas using the concept of social commerce. As a way of engaging customers they can decide and guide the themes, which can include space, geography, history, animals and other things kids are interested in. We’re also changing the way we work with designers. Instead of paying them a one-off fee for their designs, they’ll get a percentage of revenues. So the designers with the most popular designs will really profit from their success. The pyjamas will be comfortable and high quality but won’t break the bank, and we’ll sell them through Mini Wardrobe. I also used a different way to raise funds this time. I turned to crowdfunding which – though a newish idea on the UK – is really popular in the US. You learn your lessons the hard way – and it’s usually what doesn’t work! You’re constantly learning and improving. But I love doing something for myself. You’ve got to have the drive to make it work, and be prepared to revise timelines and work hard – I don’t think quick wins exist any more, certainly not in children’s fashion. What advice would you give a mum thinking of starting a business? Make sure you’ve got a great support network around you – your parents or a hands-on partner. Go into it with your eyes wide open, and however long you think it’s going to take, treble it! Browse the exciting range of designer children’s clothes and gifts at Mini Wardrobe.